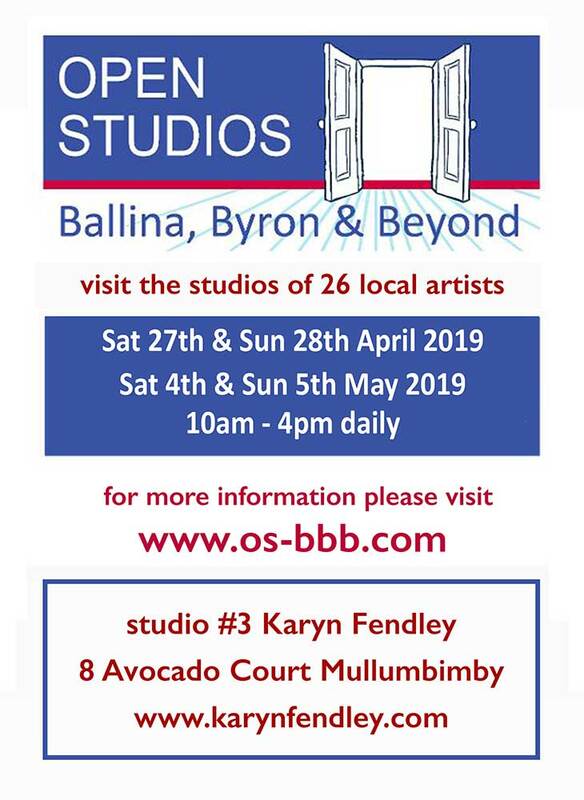 Don't miss this chance to visit artists in their studios! 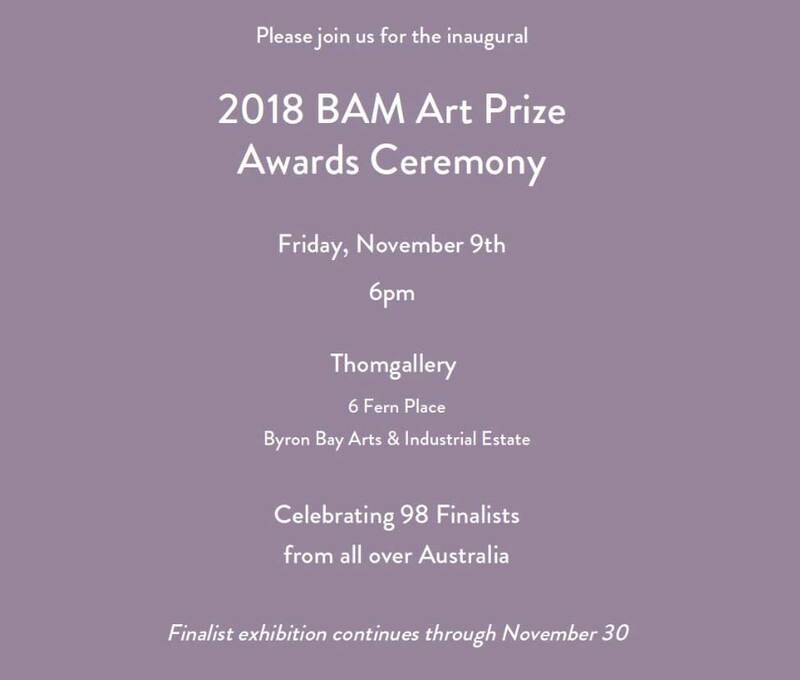 I'm excited to have been selected as a finalist for the BAM Art Prize! 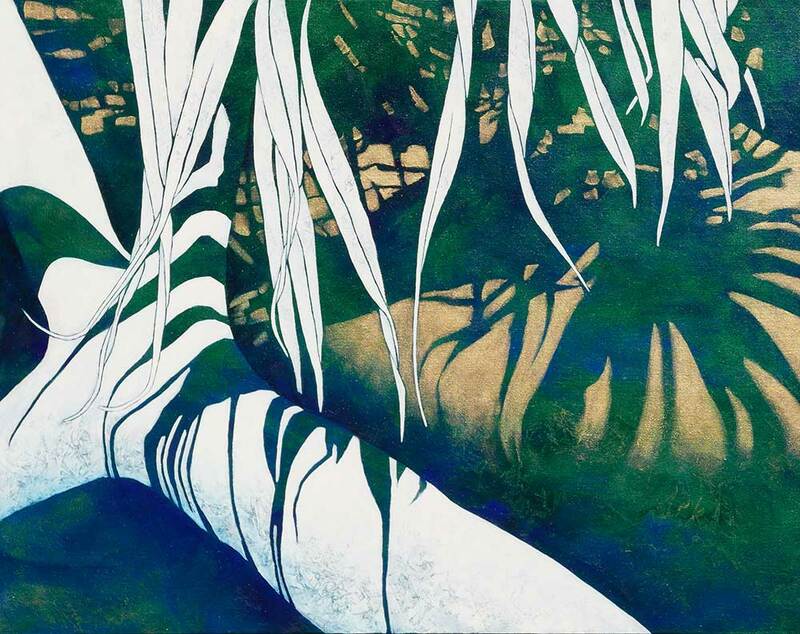 at Thom gallery Byron Bay, along with artworks by other finalists from all over Australia. Congratulations to all the other artists! 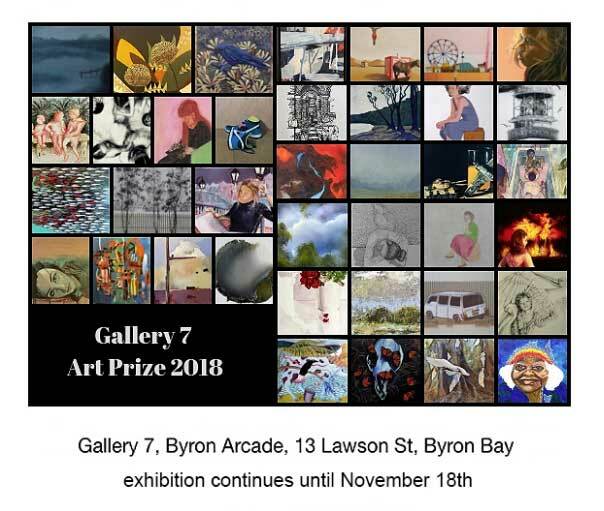 I've been selected as a finalist in the GALLERY 7 ART PRIZE! 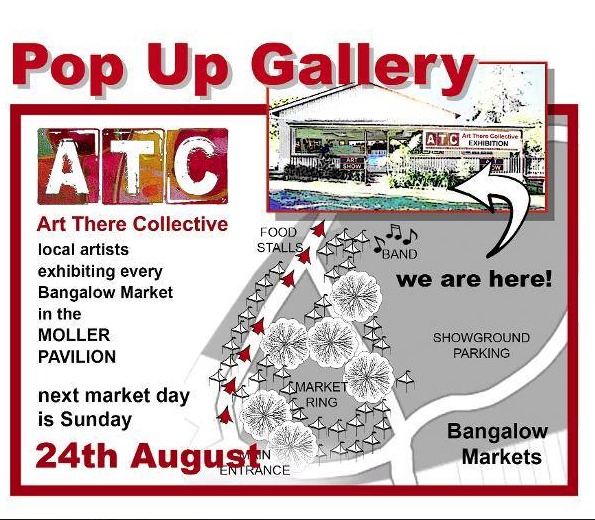 at Gallery 7 Byron Arcade 13 Lawson St, Byron Bay. 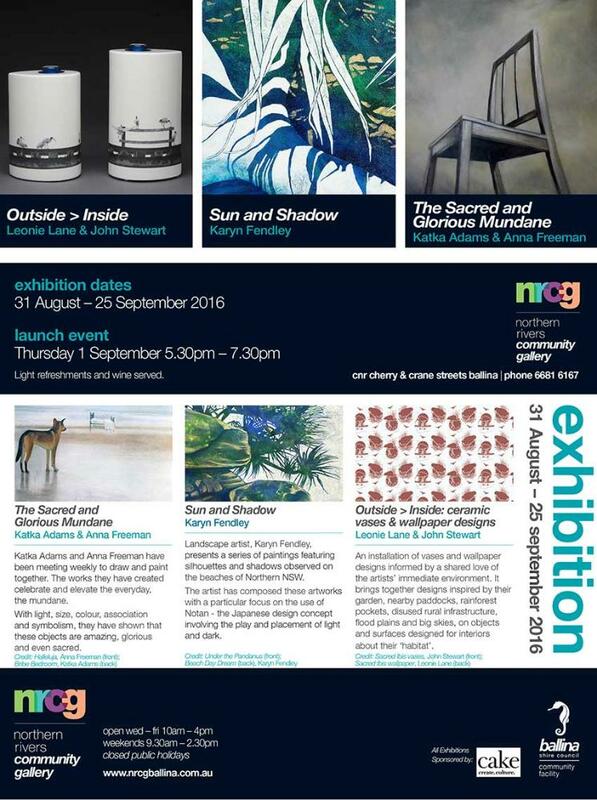 Exhibition Dates: Saturday 3rd November – Sunday 18th November . 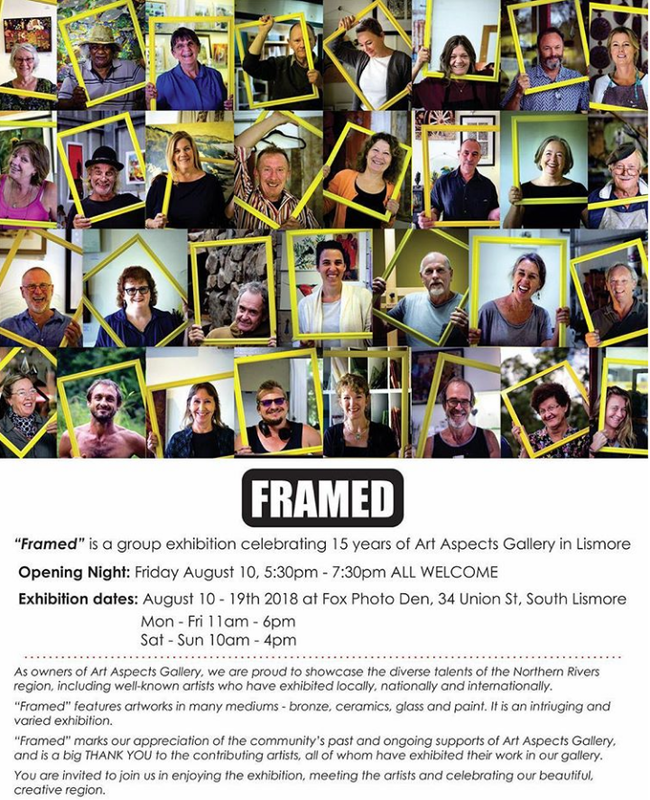 “Framed” celebrating 15 years of Art Aspects Gallery. 10th - 19th August at the Fox Photo Den, 34 Union St South Lismore. 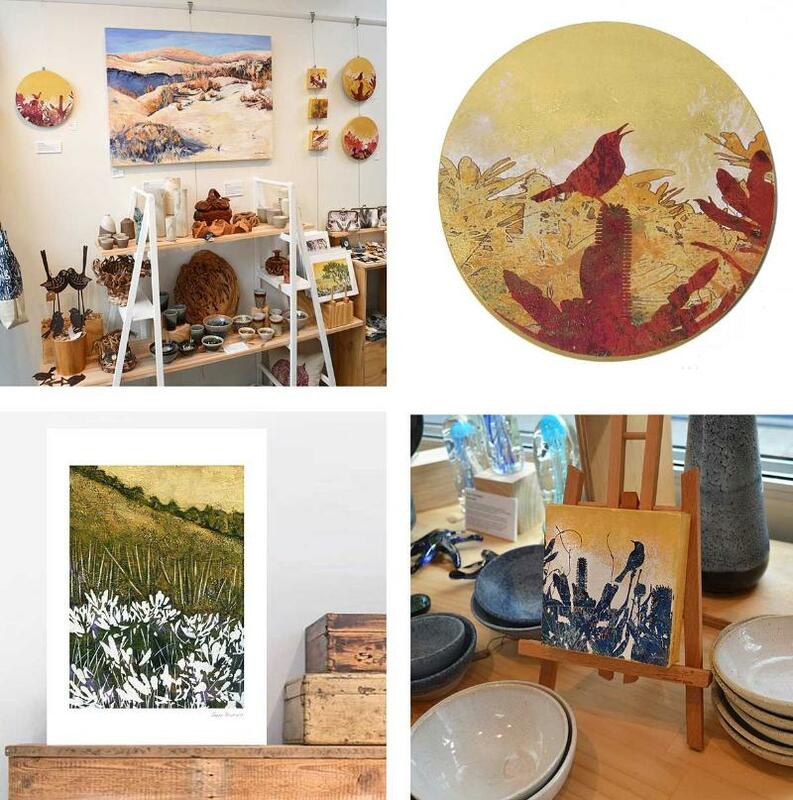 Bankhouse Originals- 64 Sandilands Street Mallanganee, NSW. 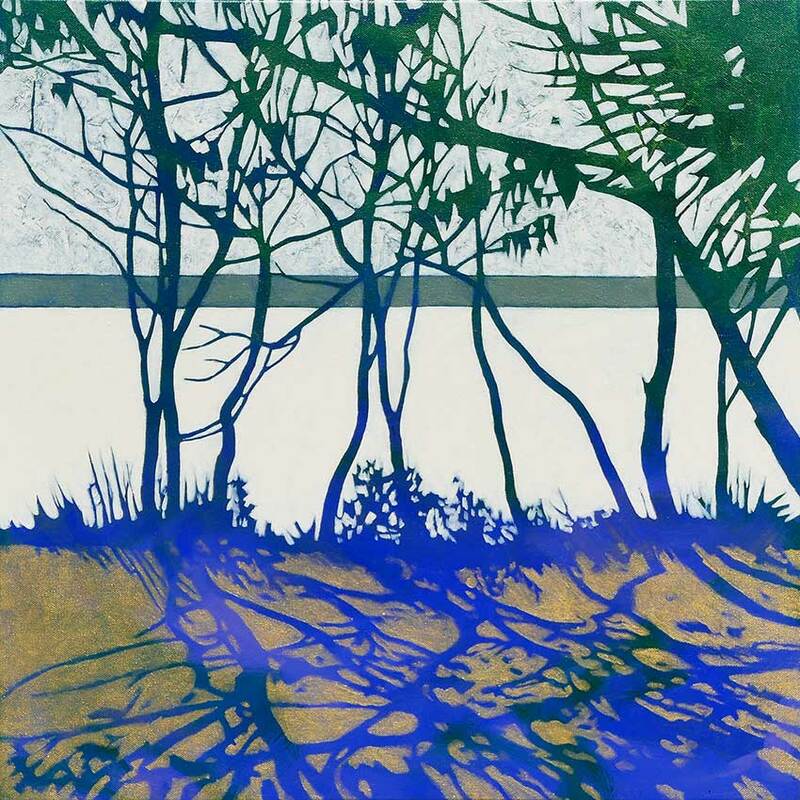 My artwork Ravine ( 30 cm x 30 cm ) has been selected for the Art Piece Art Prize and will be on exhibition at The Art Piece Gallery 70 Burringbar Street, Mullumbimby NSW until Jan 22 2018. 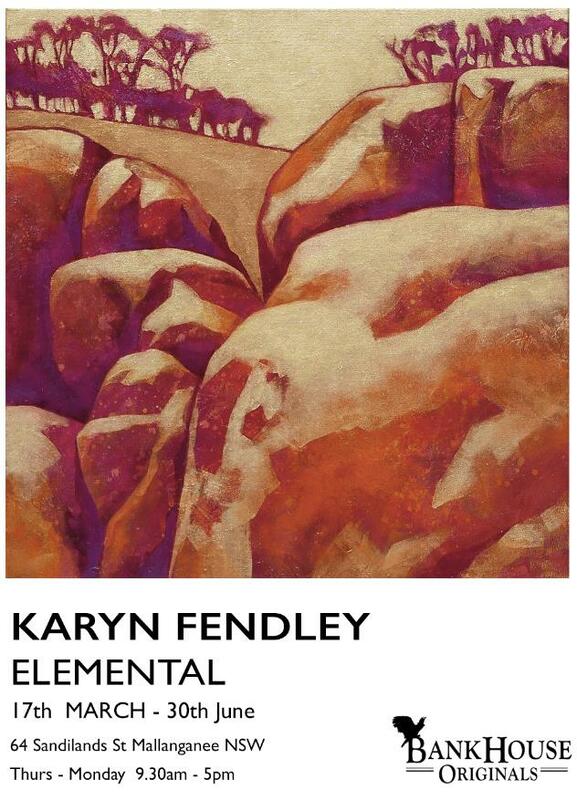 Pack Gallery in Bangalow NSW is now exhibiting a selection of my paintings. My process begins with time spent exploring the locations that inspire my work. 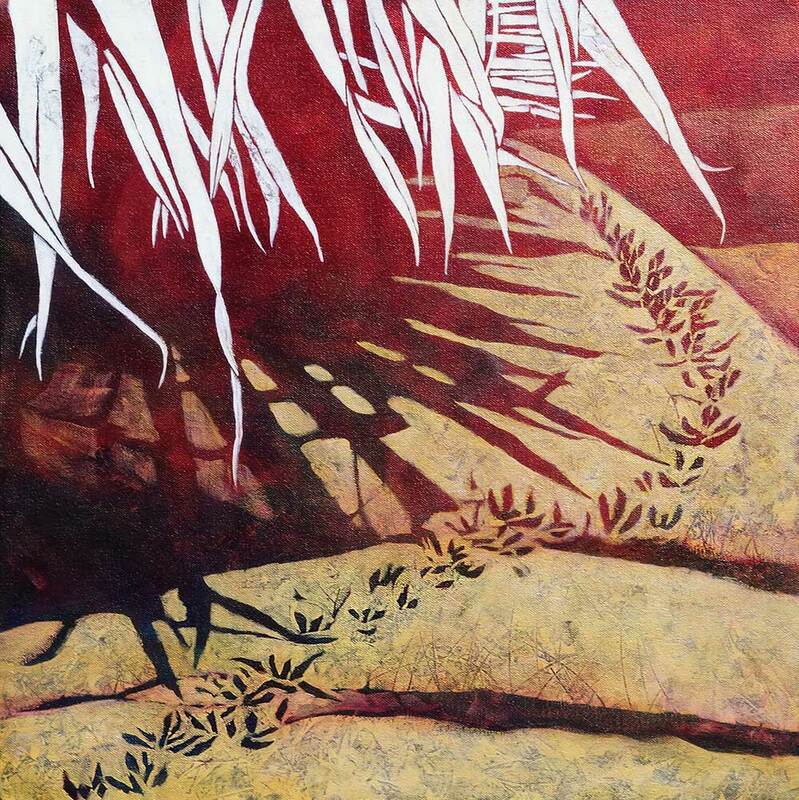 To research this sun and shadow series I spent time taking photographs and sketching on the beaches of the Arawal, Bundjalung and Yuraygir national parks, that stretch between Byron Bay & Wooli in Northern NSW. 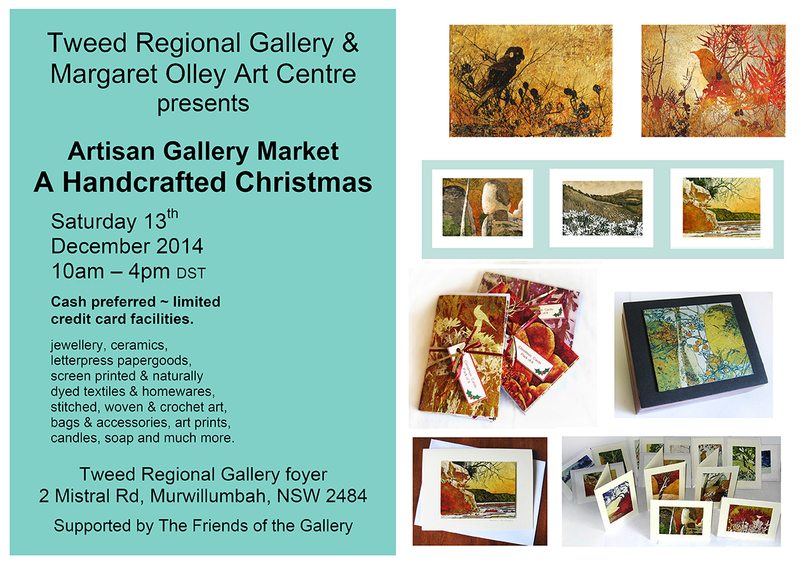 Coastal Artisans Gallery at Peregian Beach is now exhibiting a selection of my smaller artworks and prints. You can find them in Oasis Arcade, 12 Grebe Street, Peregian Beach Village. 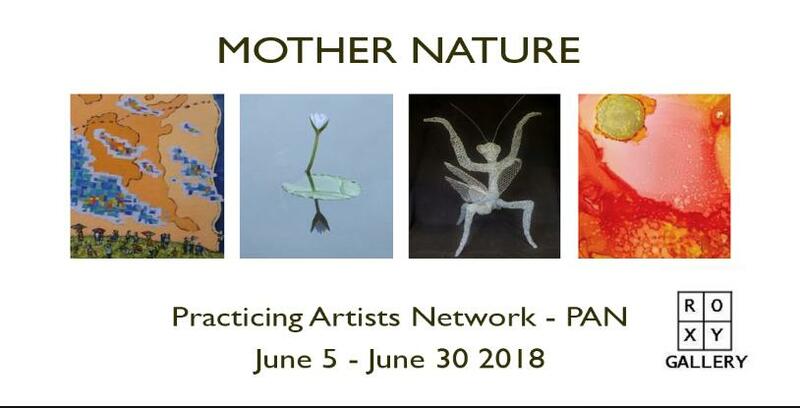 This April, the Lennox Arts Collective are pleased to host “Natural Connection", an exhibition by Caroline McKay, Karyn Fendley and Kay Knights, 3 artists who draw inspiration from the natural environment of the Northern Rivers. 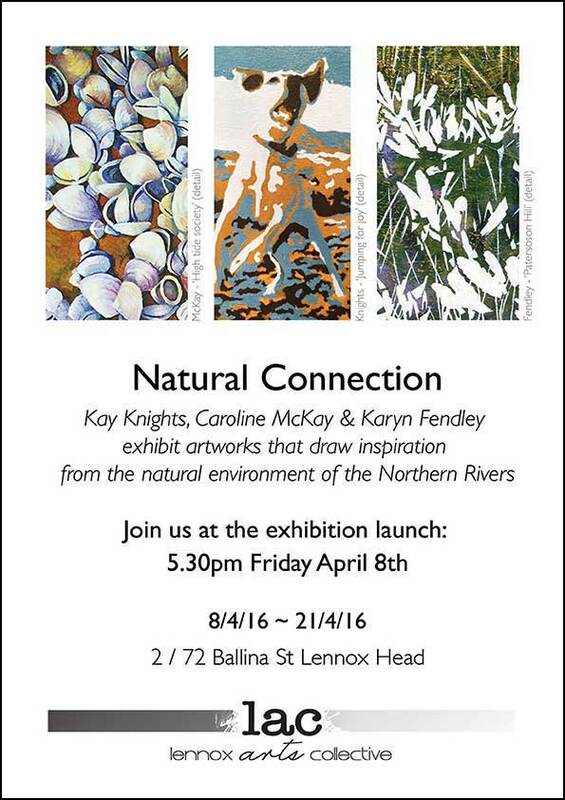 "Natural Connection" opens at 5.30 pm on Friday the 8th April and continues until 21st April at the Lennox Arts Collective gallery, 2/72 Ballina Street Lennox Head. 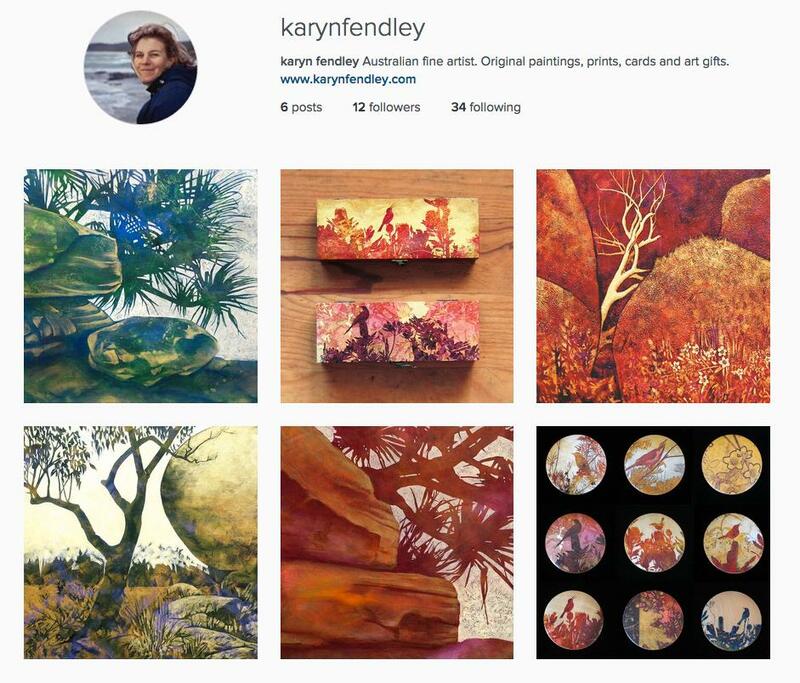 I now have a small collection of Giclée Fine Art Prints available through my online shop. 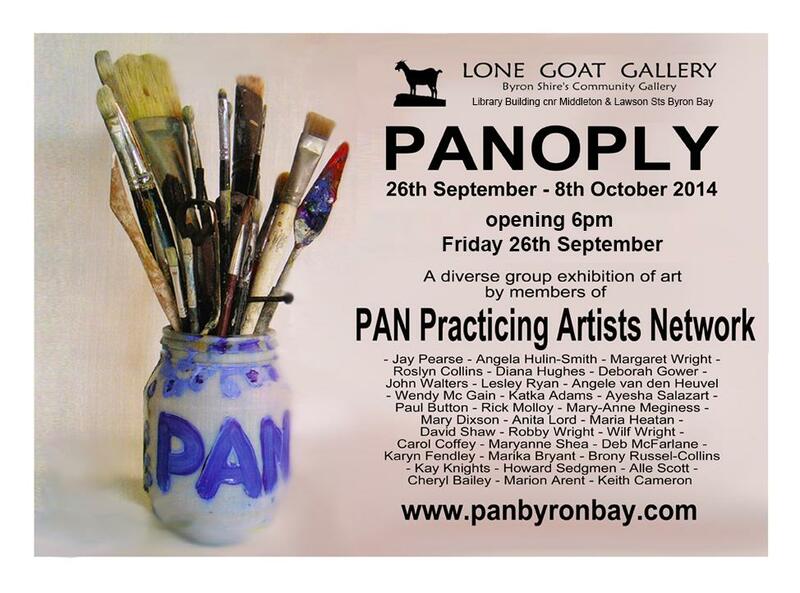 I am exhibiting in this group show at the Lone Goat Gallery in Byron Bay. The exhibition continues until the 7th of October. 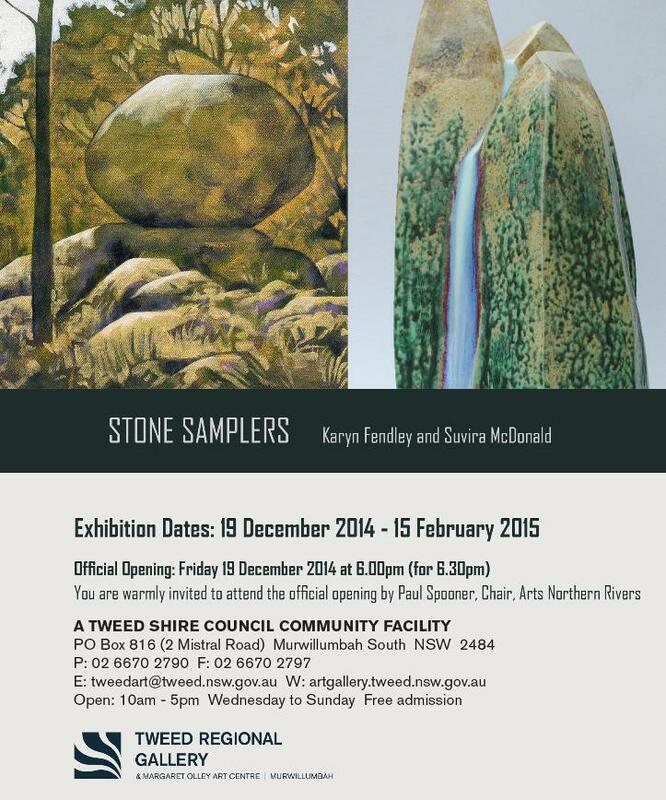 Karyn Fendley and Suvira McDonald are thrilled to present STONE SAMPLERS at the Tweed Regional Gallery this summer. 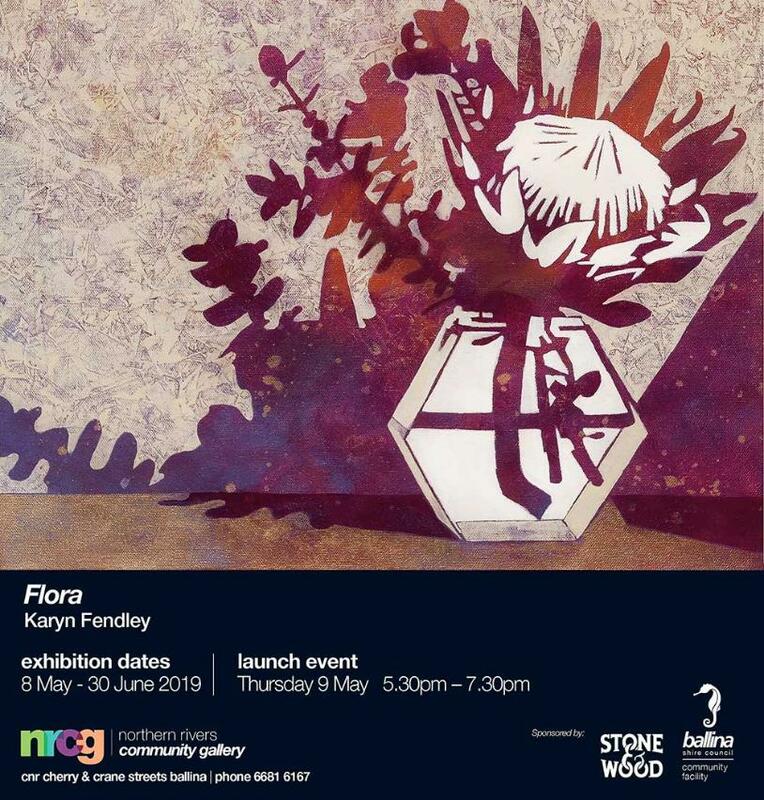 This exhibition combines Karyn Fendley’s shimmering acrylic paintings with Suvira McDonald’s plinth mounted ceramic sculptures. A mutually recognised similarity prompted the artists to pair their work for the exhibition. 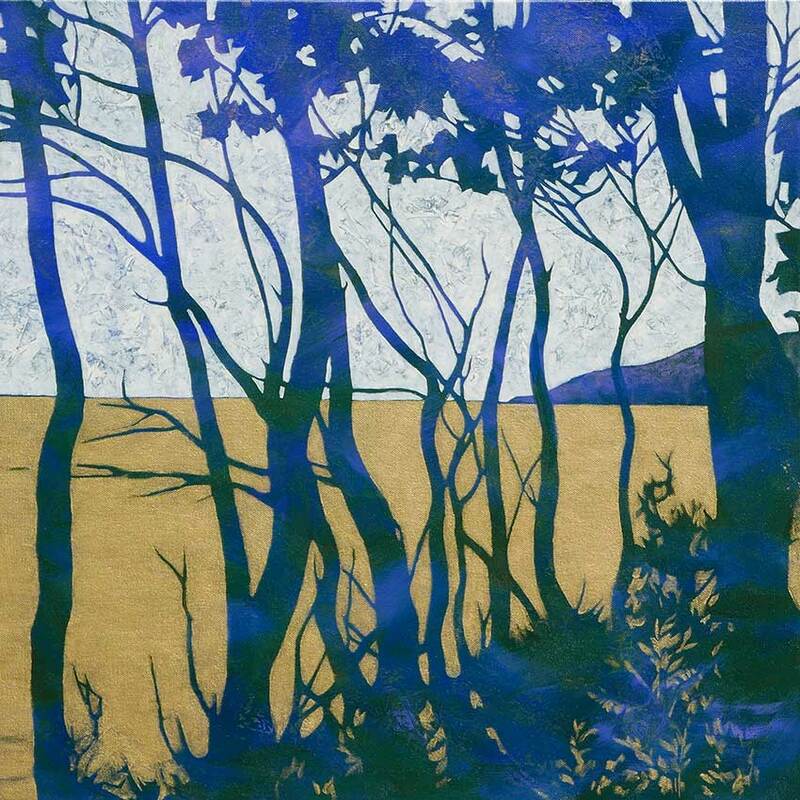 Inspired by elemental forces, the artists have created artworks that invite contemplative viewing. 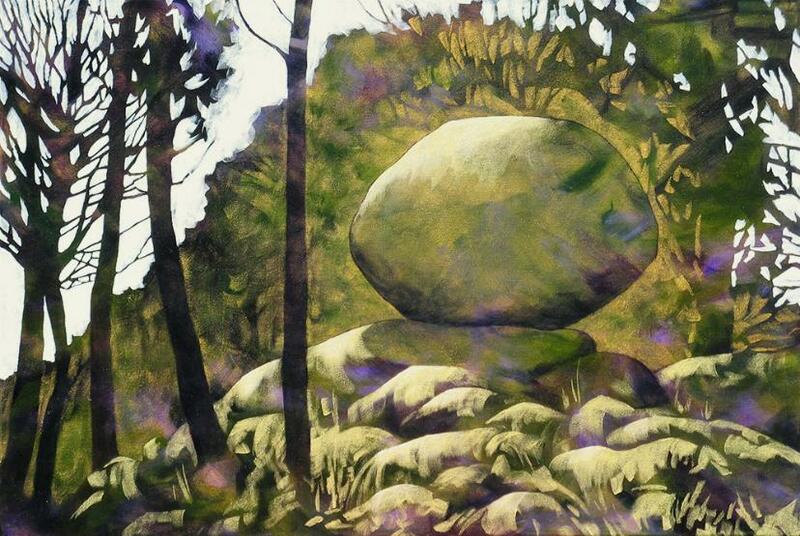 STONE SAMPLERS opens on Friday December 19th and continues until the 15th of February. 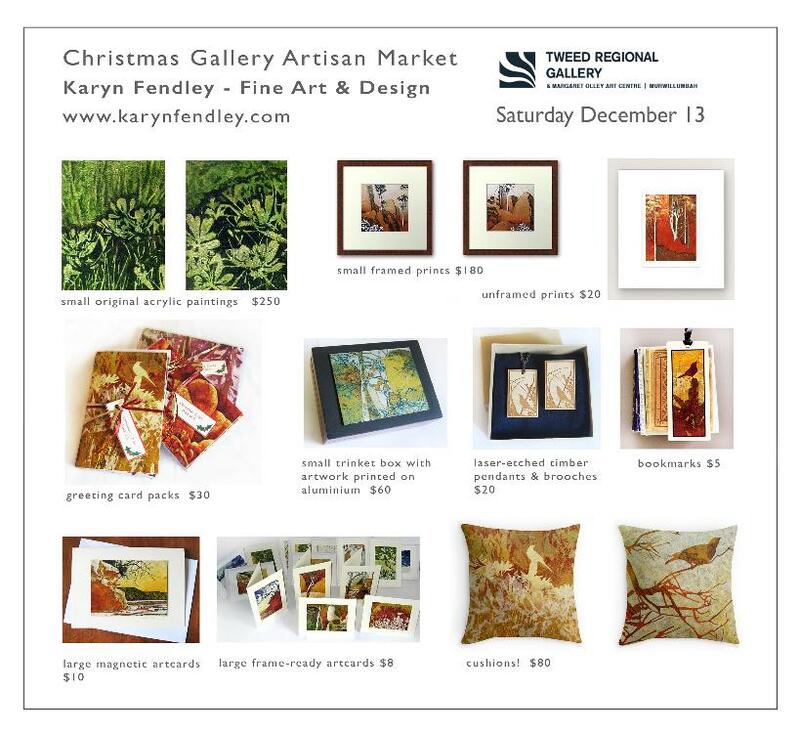 I have been offered a spot at the Tweed Gallery Christmas Artisan Market on Saturday December 13th. 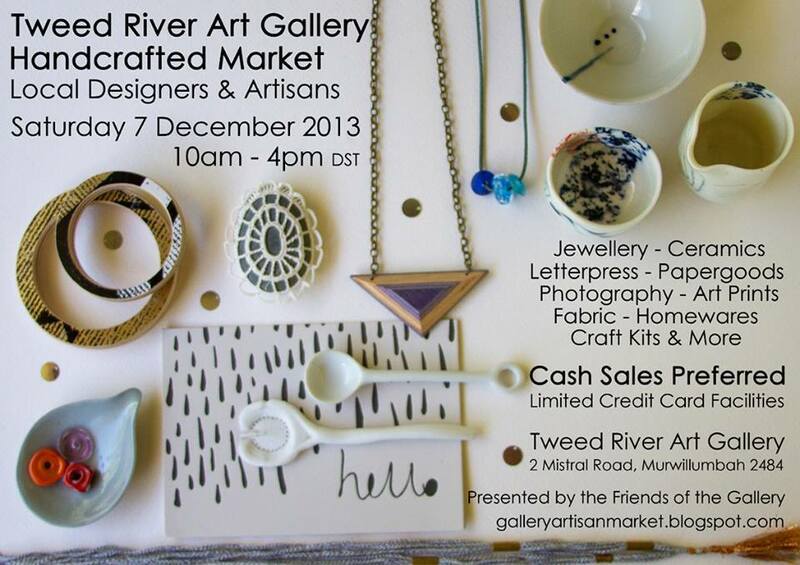 I'll be at the Tweed River Art Gallery Christmas Market with my cards, prints and small paintings. 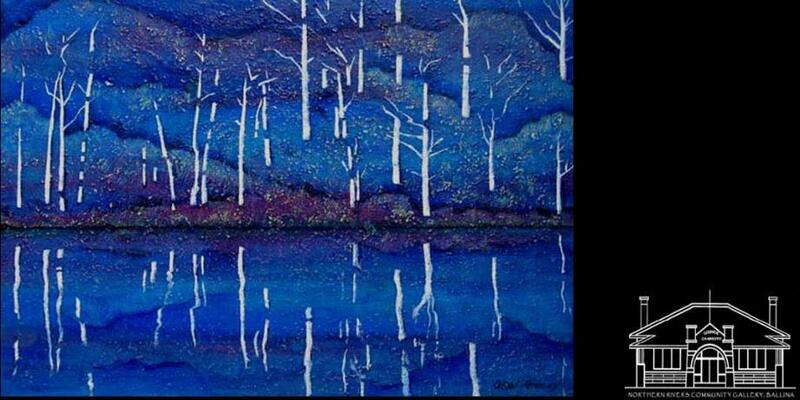 My painting "One Bright Moonlit Night" has been selected for the 2012 Art Felt Art Prize Exhibition. 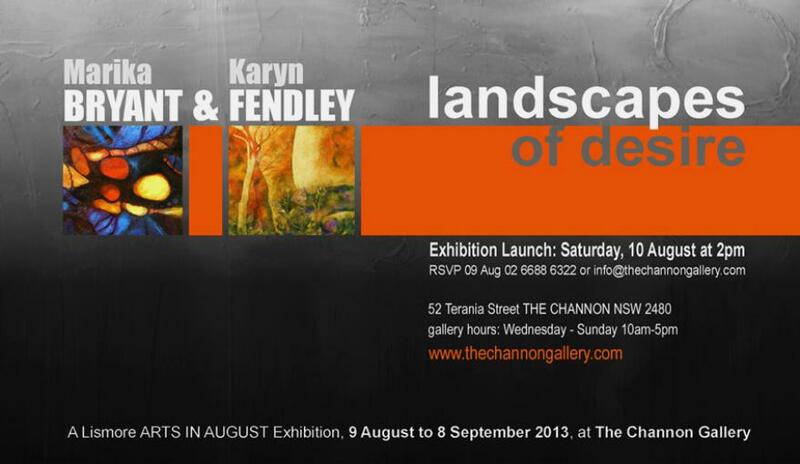 opening at the Northern Rivers Community Gallery 44 Cherry St Ballina NSW, 5 Sep until 30 September. 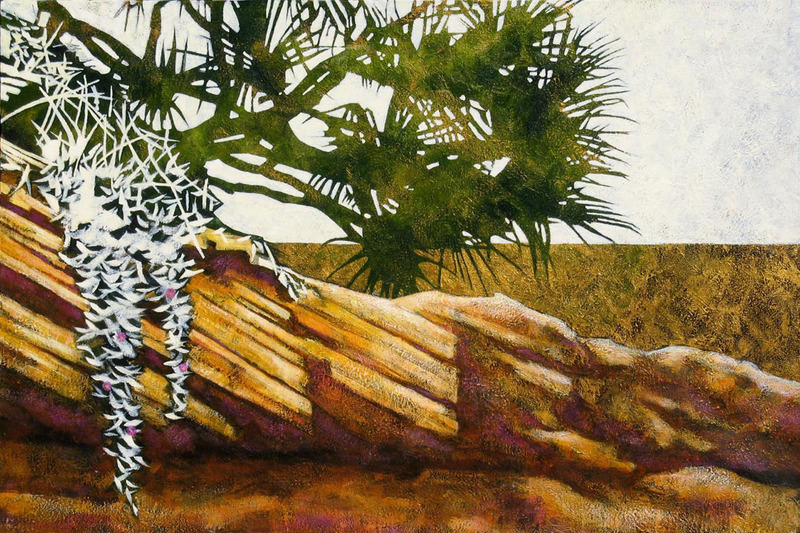 My painting "Tallow Beach Banksia" has been selected for the Caldera Art Awards 2012 Finalist Exhibition. 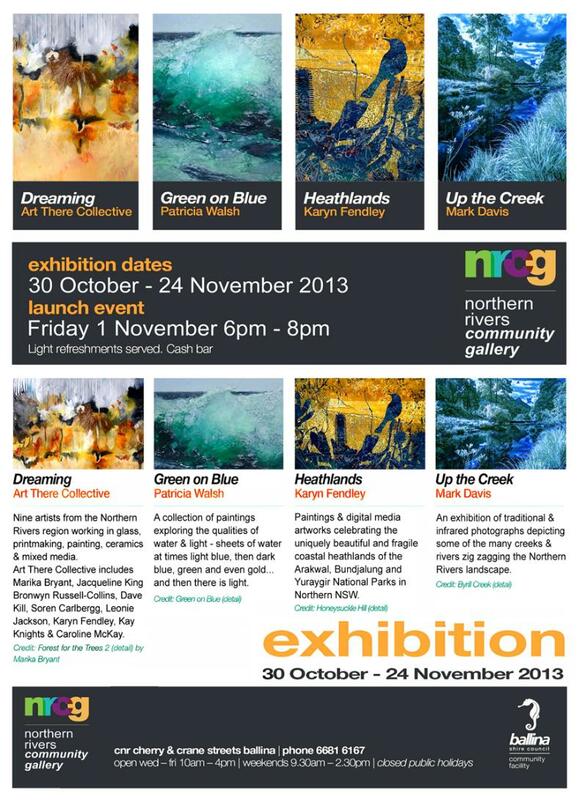 At The Centre, Beaudesert opening on Saturday the 20th of October until the 24th of November. 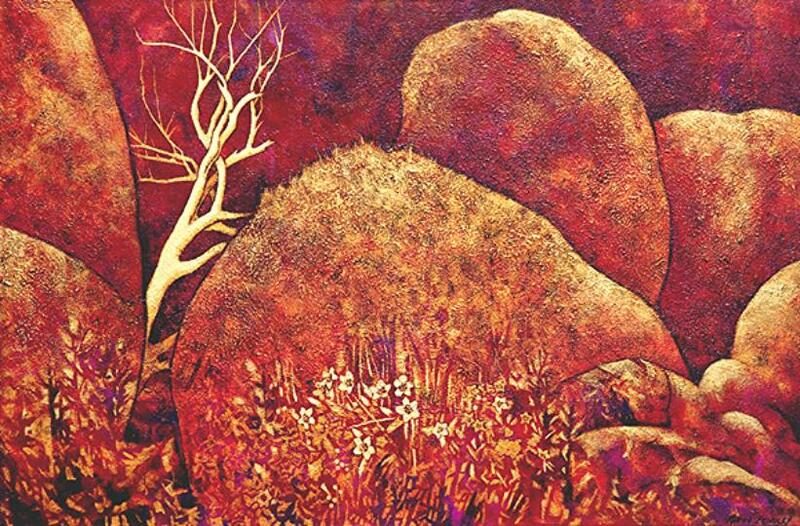 December 2011 "A Recollection of New Beginnings"
October 15 2011 Caldera Art Fellowships exhibition. from the15th of October, until 11th November. 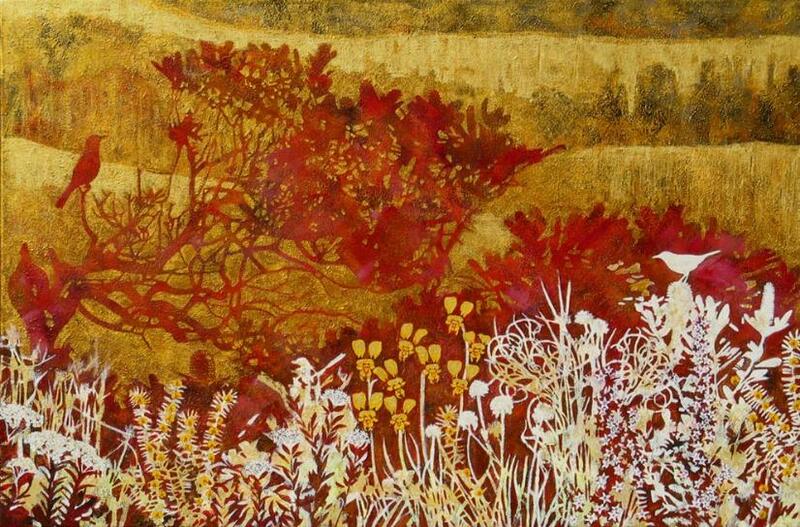 October 23 2011 Group exhibition.... "A divergence, drawn together"
My painting "Byron Bay Dwarf Heath" has been selected for the Caldera Art Awards 2011 Finalist Exhibition. 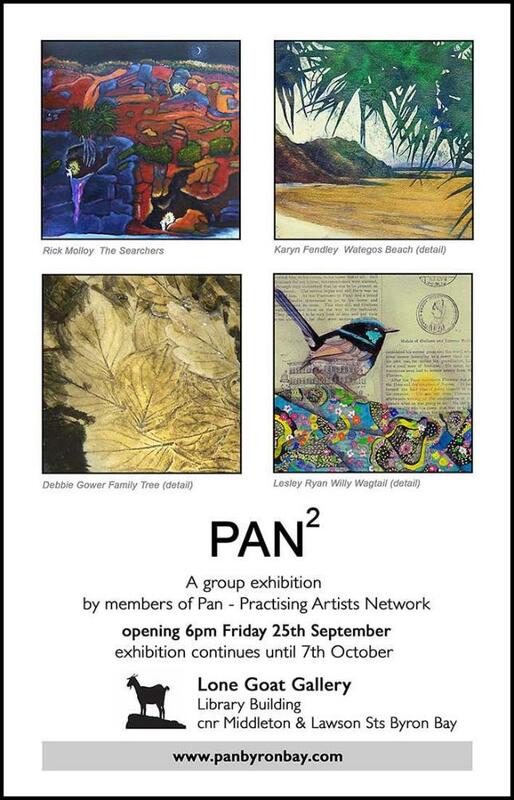 At the Tweed River Art Gallery Murwillumbah, from Friday 23 September until Sunday 13 November 2011. 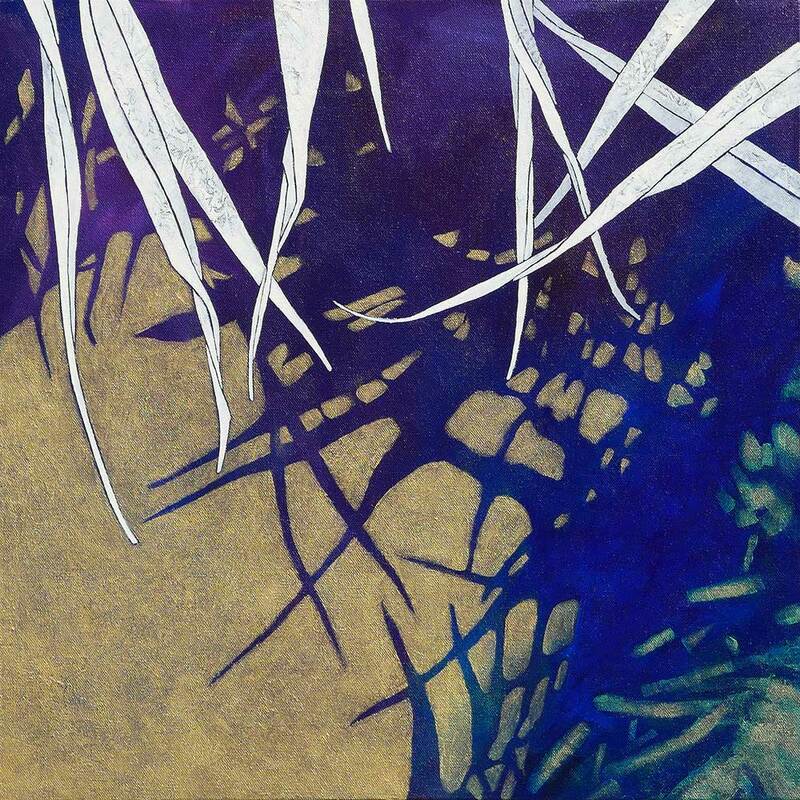 My painting "Pandanus and Pigface" has been selected for the 2011 Border Art Prize Exhibition. 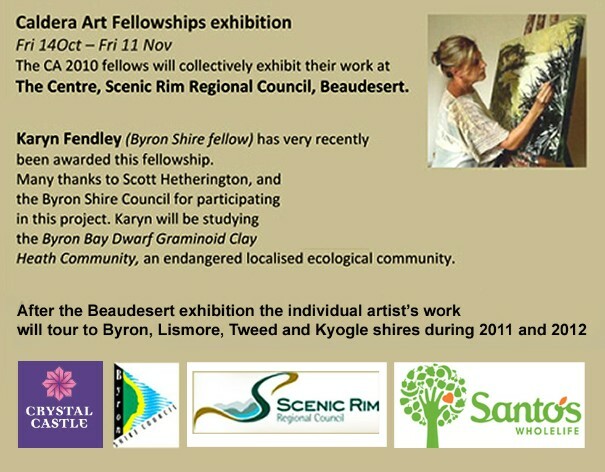 At the Tweed River Art Gallery Murwillumbah, from Saturday 10 December until Sunday 16 October 2011. 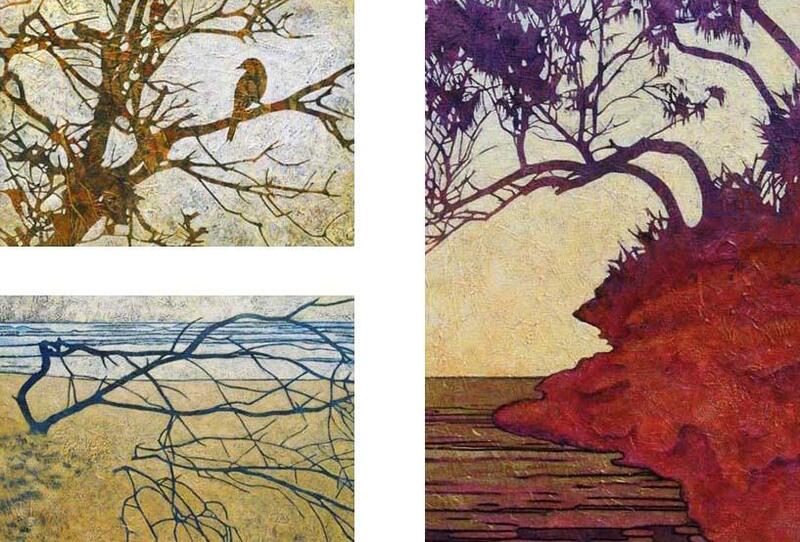 My paintings "Fallen She-Oak" "Clifftop Banksia Bird" & "Red Ciff She-Oak" have been selected for the 2011 Art Felt Art Prize.... At the Northern Rivers Community Gallery 44 cherry St Ballina NSW, 7 September until Sunday 2 October 2011. 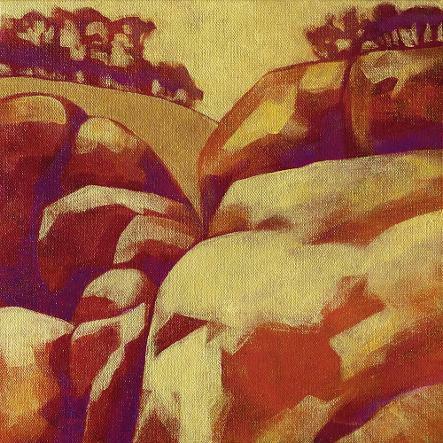 My painting "Redcliff # 2" has been selected for the 2010 Border Art Prize Exhibition. 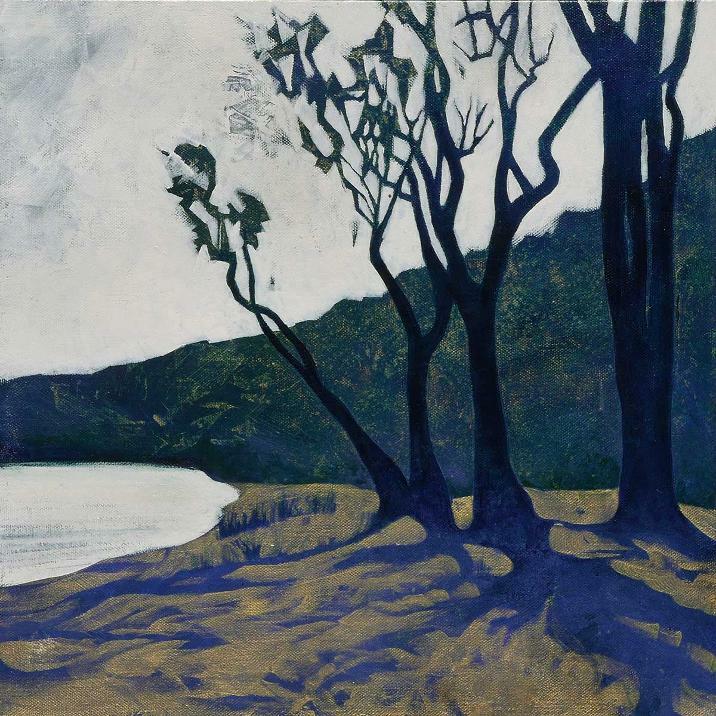 At the Tweed River Art Gallery Murwillumbah, from 3 December 2010 until 23 January 2011. 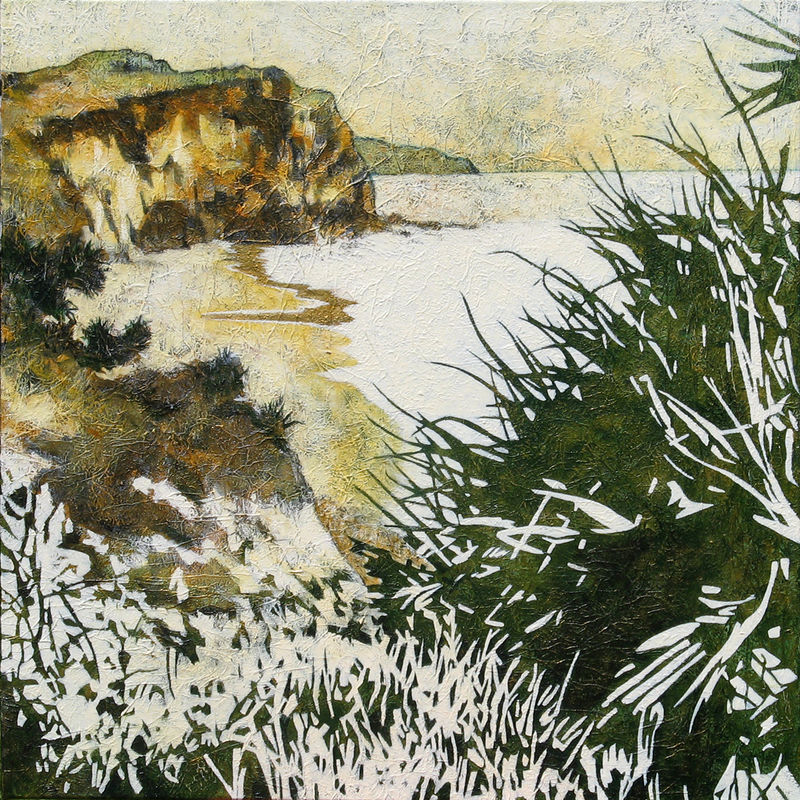 My solo show "Along the Coast" opens at the Northern Rivers Community Gallery 44 Cherry St Ballina NSW on Friday the 12th of November and continues until Sunday 5th December. 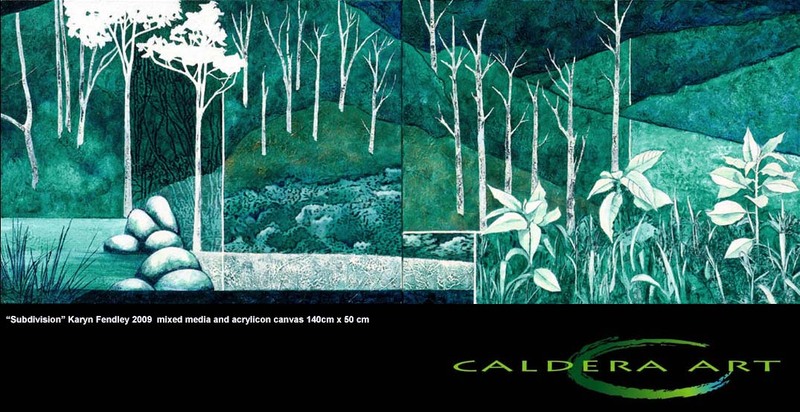 My painting "Subdivision" has been accepted into the Caldera Art Awards 2010 Finalist Exhibition. 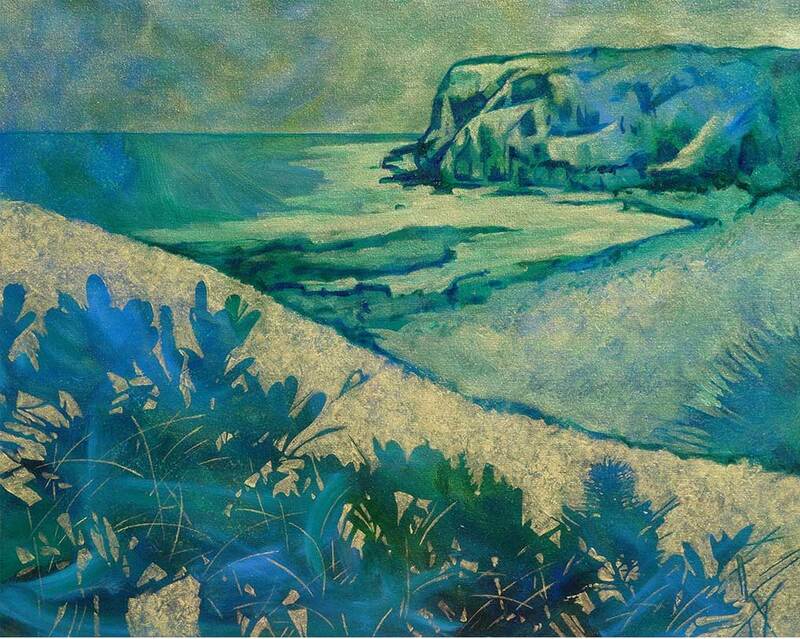 At the Northern Rivers Community Gallery at 44 Cherry St Ballina, NSW from 15 Oct- 7th November. 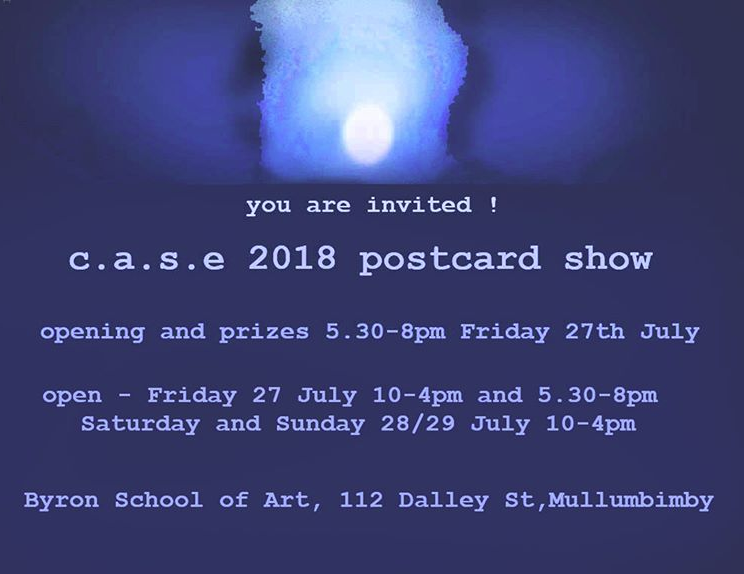 I have been awarded the Highly Commended prize in the Station Street studios "Postcards From Your Street" exhibition for my digital artwork, "Along Blindmouth Road 1 & 2"
I have been invited to exhibit my painting "Deep Blue Lake" at the Northern Rivers Community Gallery, in a curated exhibition of local contemporary landscape artists. 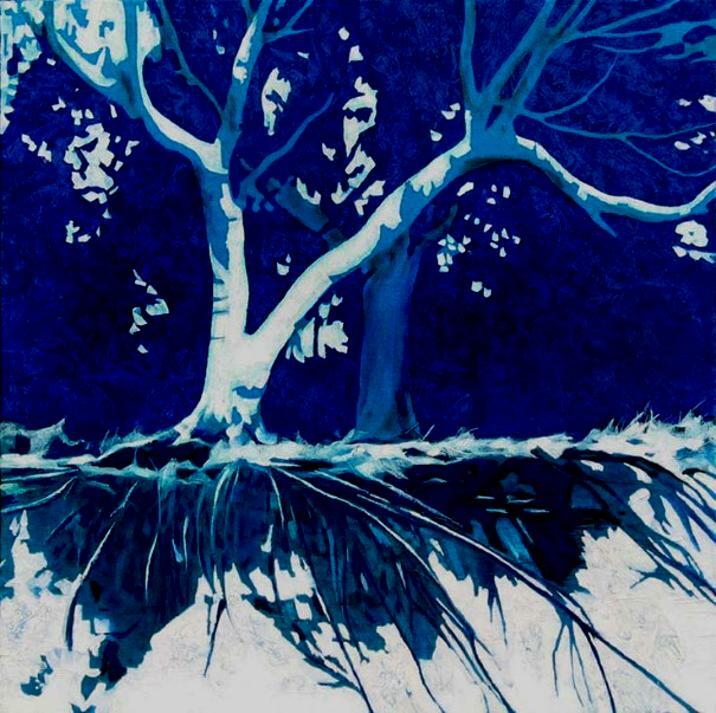 The exhibition, ”Rivers of Life” at the NRCG 44 Cherry St Ballina, opens 29 January 2010 & continues until 21 February. on Saturday the 3rd of October and continues until October 25th.